Arthur David Slone (b. July 9, 1964) is an entrepreneur, business leader, motivational speaker, and management trainer. David Slone currently serves as the General Sales Manager for Weld County Garage, where he also serves as used car manager. Born in Portsmouth, Virginia, David Slone married his wife, Stacey, in 1987. The two settled in Denver, where they live with their two children. David Slone and his daughter, Amber, run Like Father Like Daughter Photography, where Slone is able to indulge his love for photography. David Slone and his family enjoy exploring the mountains on Colorado’s many Jeep trails. After studying at the University of Oklahoma, David Slone began his career as an entrepreneur. Along with his wife, David Slone founded a photography company they named Amber’s Video Production. During the time it was in business, the company graduated from a small operation out of the couple’s home to one of the most successful videography companies in Oklahoma. Eventually, David Slone sold the company in order to take on new challenges. In 2000, David Slone joined the staff of Boulder, Colorado’s Macrosystem US, where he headed up a marketing and sales staff. David Slone was excited to be a part of this innovative business that specialized in editing using digital technology. This cutting-edge approach led Macrosystem to join the ranks of the fastest-growing companies in the state. 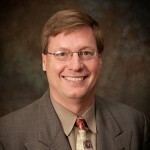 David Slone was appointed Vice President of the company, which had an impressive management team. David Slone was later promoted to President of Macrosystem US. The company was a large dealer of video editing systems, including Casablanca Avio and Casablanca Kron. David Slone was responsible for hundreds of dealers during his time with Macrosystem US, which gave him experience in working with a large number of global clients. Through his work with Macrosystem US, David Slone was able to work directly with the company’s German manufacturers, an experience he still prizes today. During this time, David Slone also began ministry work, serving a Brazilian ministry called Making a Difference. In this position, David Slone was able to lead the ministry as it provided support to needy families. With David Slone, Making a Difference was able to provide financial assistance to many families in Brazil. In 2009, David Slone joined Weld County Garage, where he has helped the car dealership achieve the ranking as a top Buick/GMC dealership in the area. As Weld County Garage’s General Sales Manager, David Slone is responsible for the dealership’s sales managers, each of whom is at the top of their field. Slone also manages the dealership’s finance and resource managers. Currently, David Slone is responsible for purchasing and marketing, as well as creating sales plans and setting goals for the dealership. There, David Slone works hard to ensure sales increase each year, motivating his team and maintaining a customer-first attitude, which he has developed over many years in business. In addition to motivating his own team at Weld County Garage, David Slone also works with other companies to help build and strengthen their management teams. Calling upon more than twenty years of experience in the business world, David Slone helps businesses work through various phases of development, including startup, sustained survival, and continued growth. In another business venture, David Slone and his daughter have started a website for a photography business. They sell their pictures on Café Press and their own website, providing customers a way to purchase great art for reasonable prices.